SCITUATE, R.I. (WPRI) — Six Rhode Island State Troopers are lacing up their sneakers in preparation for the 119th Boston Marathon on Monday. Running the race will give them a chance to provide extra security along the route — but also a chance to give back to the community. Trooper John Gadrow says he was home watching coverage of the Marathon Bombings in 2013. Gadrow and five of his colleagues will participate in the race on Monday — joining over 100 law enforcement and military professionals. And the troopers have been training hard all winter long — sometimes in near-zero temperatures. But Gadrow said the mission makes it worth it. “It’s a bigger event now for us. Not only are we doing it for ourselves, but we are doing it for the community,” Gadrow said. 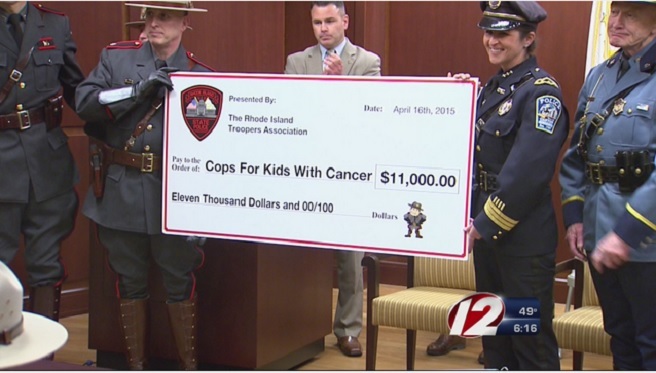 And the community will benefit — these troopers have raised $11,000 for the charity “Cops For Kids With Cancer.” Gadrow said the $5,000 they managed to raise last year made a big difference for a family in need.